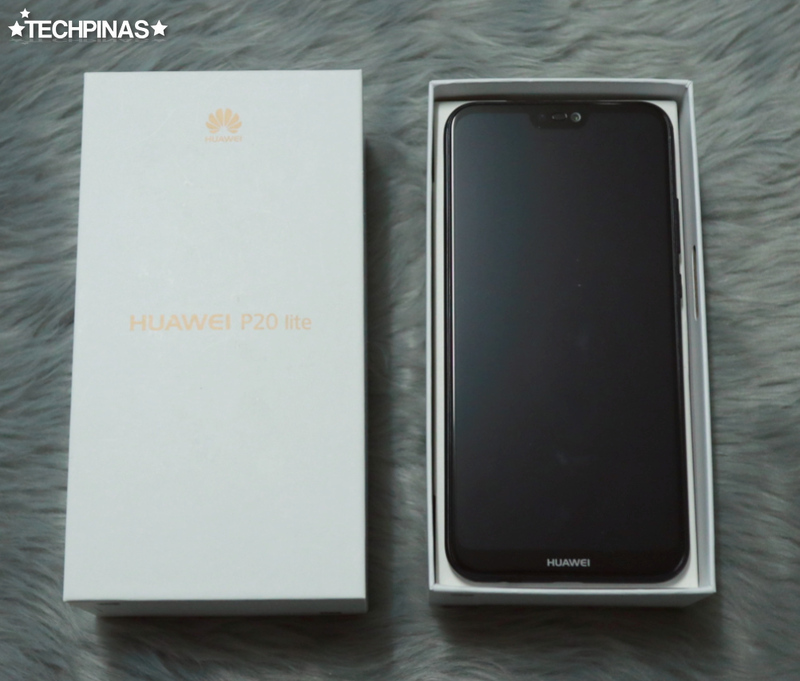 Huawei P20 Lite - as its name suggests - is the lightweight version of the Chinese tech giant's 2018 flagship Android smartphone. Simply put, this model allows consumers to get a glimpse of what its top-of-the-line can offer all while having a more accessible price tag. 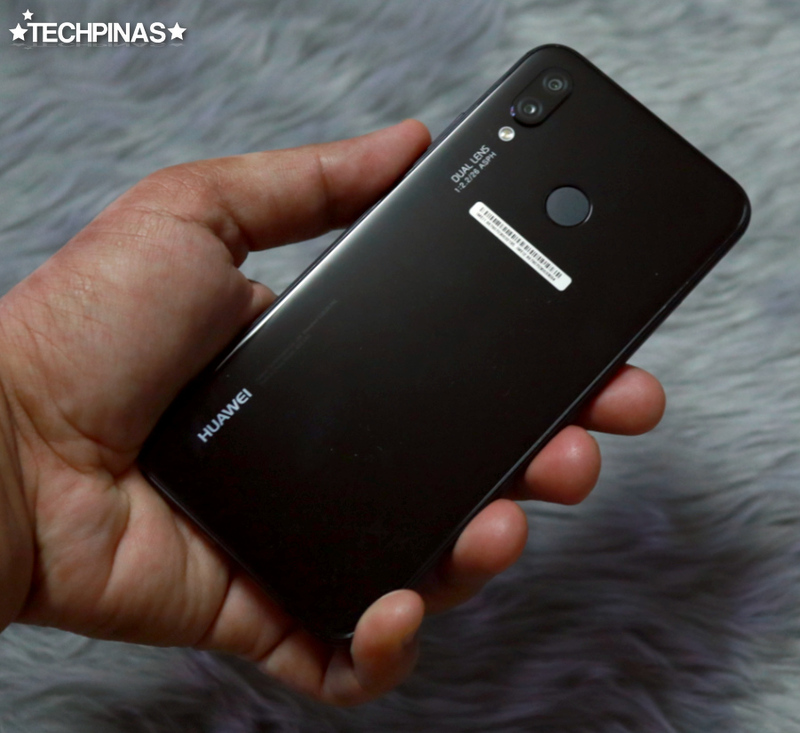 Update as of September 18, 2018: The official price of Huawei P20 Lite in the Philippines has been discounted to PHP 12,990 from its official SRP of PHP 15,990 upon launch in April 2018. 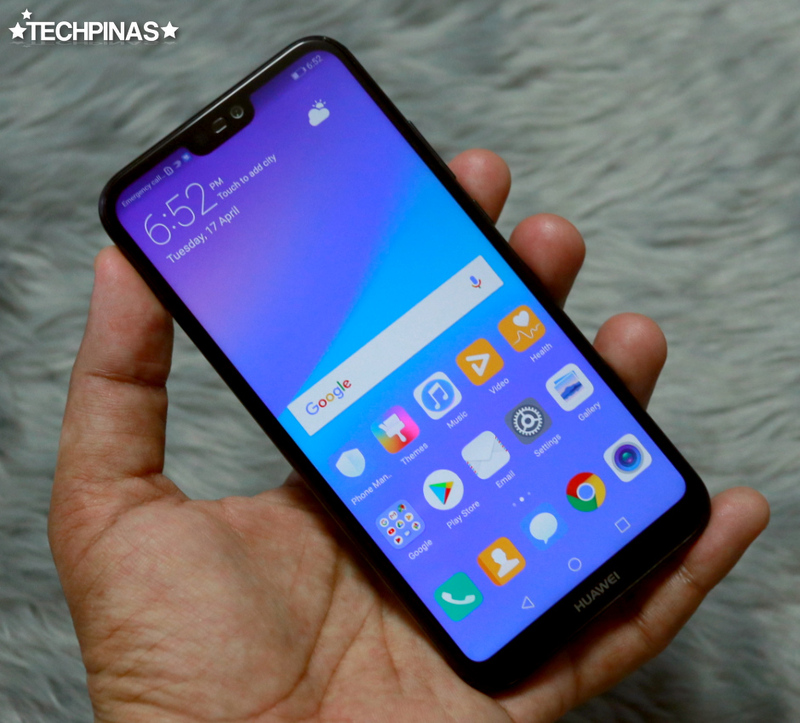 Donning an official SRP of 370 Euros in Western markets or around Php 24,000 with current conversion and before taxes, the Huawei P20 Lite is already slated for release here in the Philippines within Summer 2018. 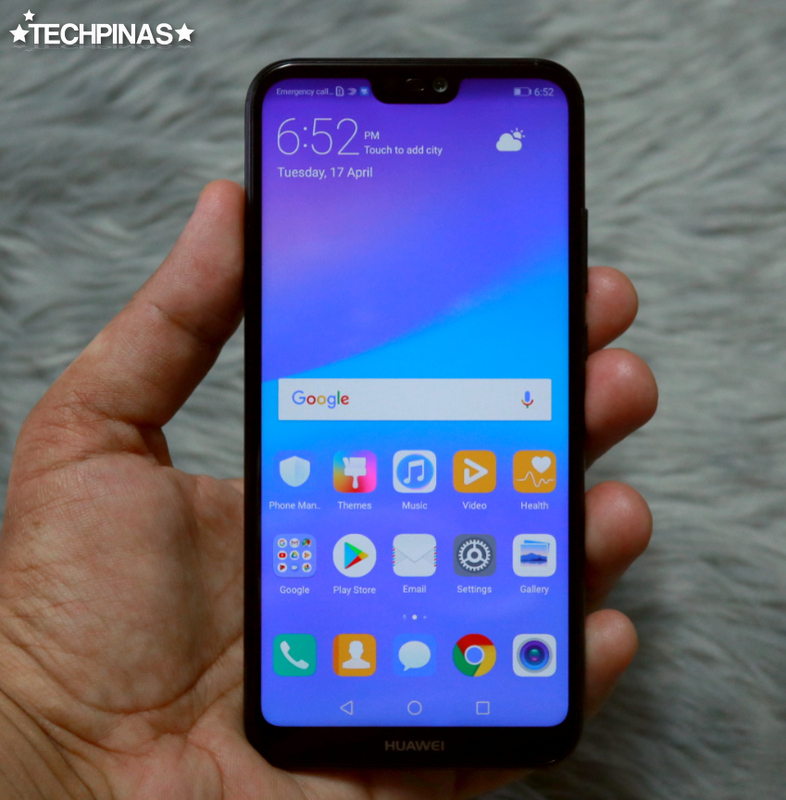 As of writing, Huawei has yet to disclose the official price tag of this model in our country but I'm guessing that it should more or less similar to the converted amount that I mentioned above. 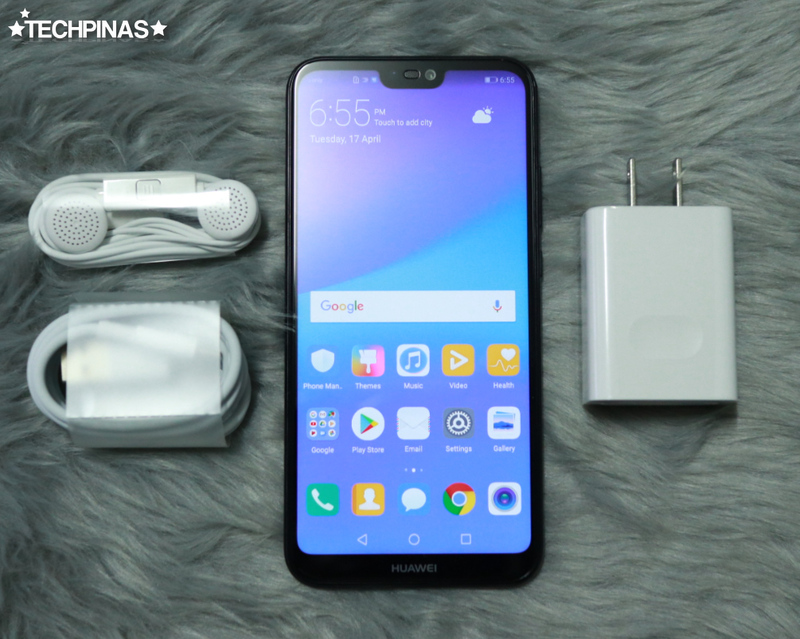 UPDATE: I've just received information from a reliable source that the official SRP of Huawei P20 Lite will just be around Php 16,000 in the Philippines! Amazing, eh? 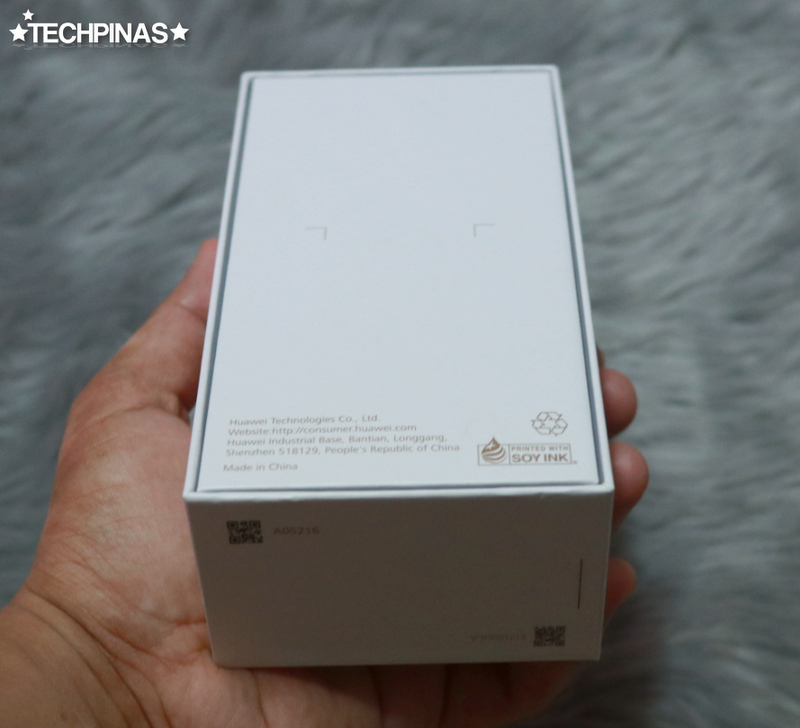 For those who are interested in purchasing this model, allow me to give you a quick unboxing of the review unit that Huawei sent me earlier this week. 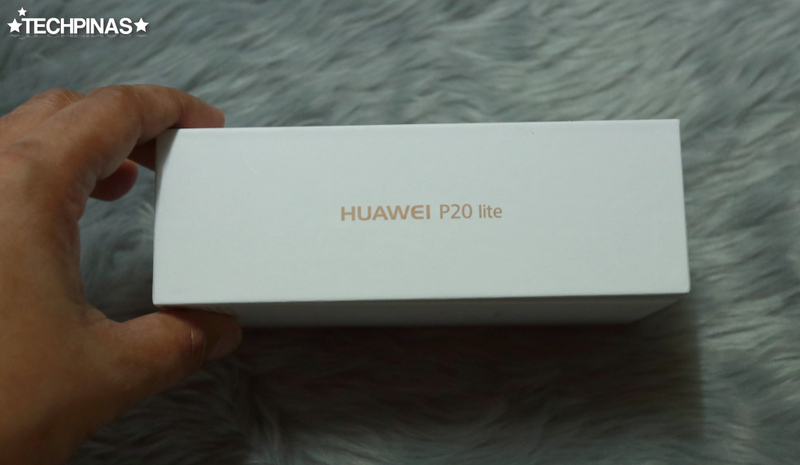 Huawei P20 Lite ships in this white box that's frankly reminiscent of what Apple has for the iPhone. 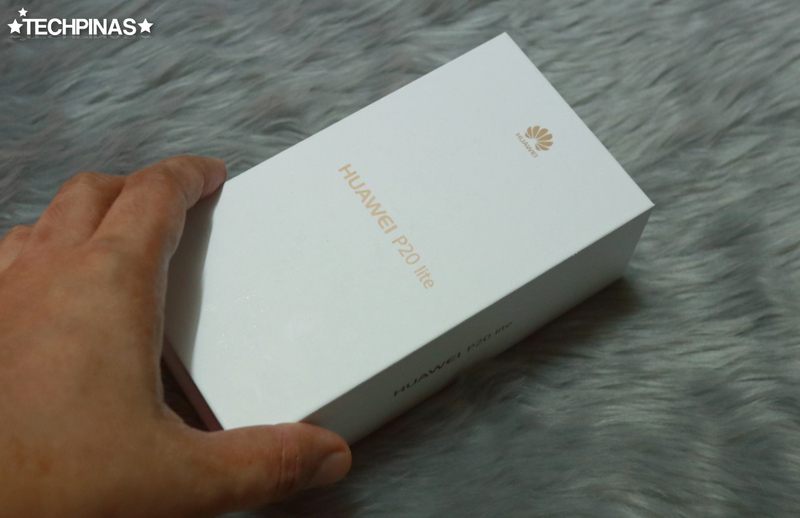 Although it's a tad plain, the gold-colored Huawei logo and branding gives the package a look of understated elegance. I think this subdued design will prove appealing to some, myself included. Tree-huggers would be glad to know that the company used soy-based include to print fine details on the box. This type of ink is more friendly to the environment compared to synthetic ones. Lifting the lid, we are greeted by the handset itself -- and removing it as well the paper pad under the device reveals the included accessories. This is the complete package that I received. Let me show you each item. The standard pair of earphones has an integrated microphone for making calls. 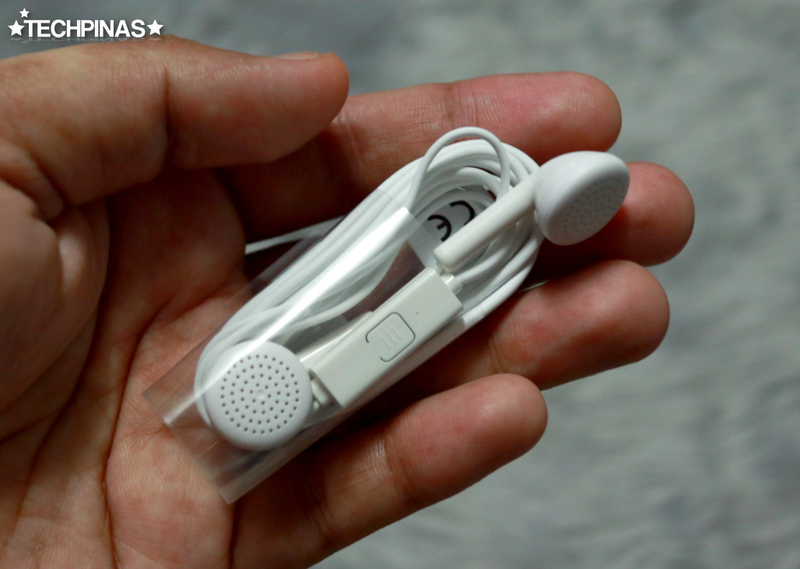 I also like that it doesn't have in-ear silicone buds, which are sometimes tiring to wear. 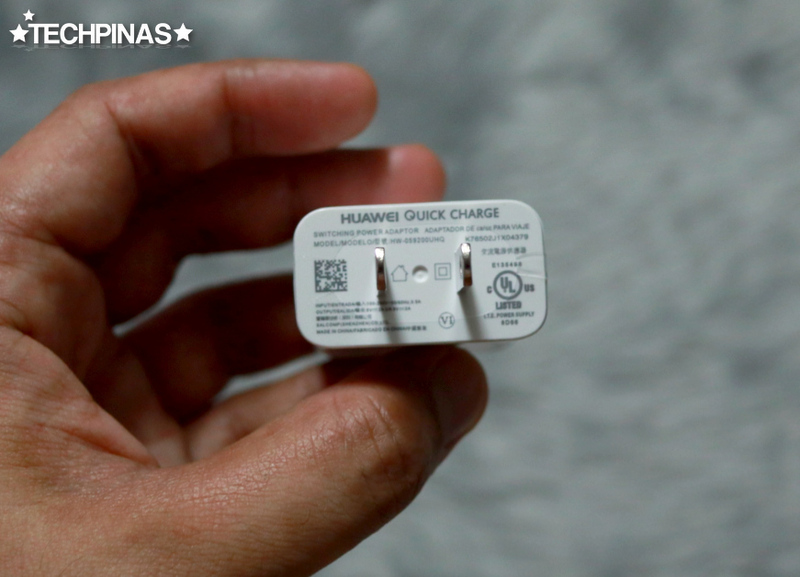 This is the new 'Huawei Quick Charge' travel charger with 2A output. 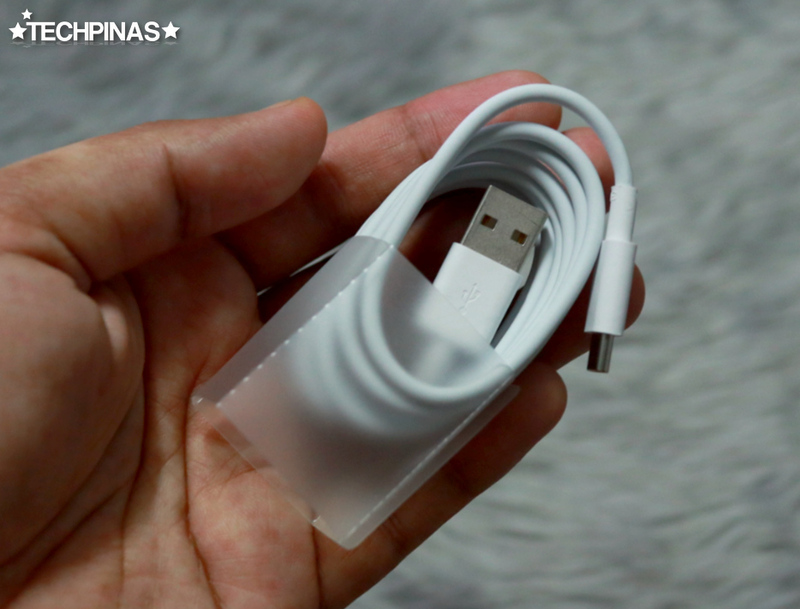 And finally, the USB Type C cable for charging the device and transferring files to a computer. Now, let's take a look at the handset itself and go through its key technical specifications and features. 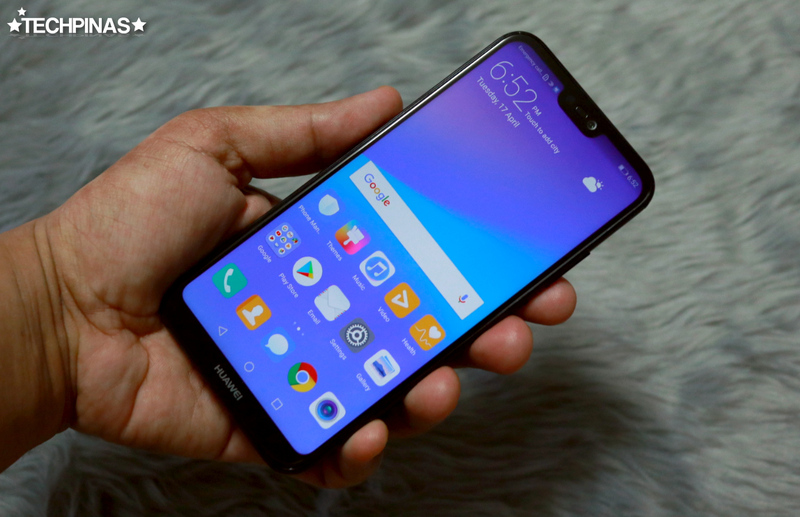 Huawei P20 Lite sports a 5.84-inch 1080 x 2280 pixels LTPS display with rounded corners and that trendy notch, which allowed it to cover almost the entire face of the device, limiting its footprint. 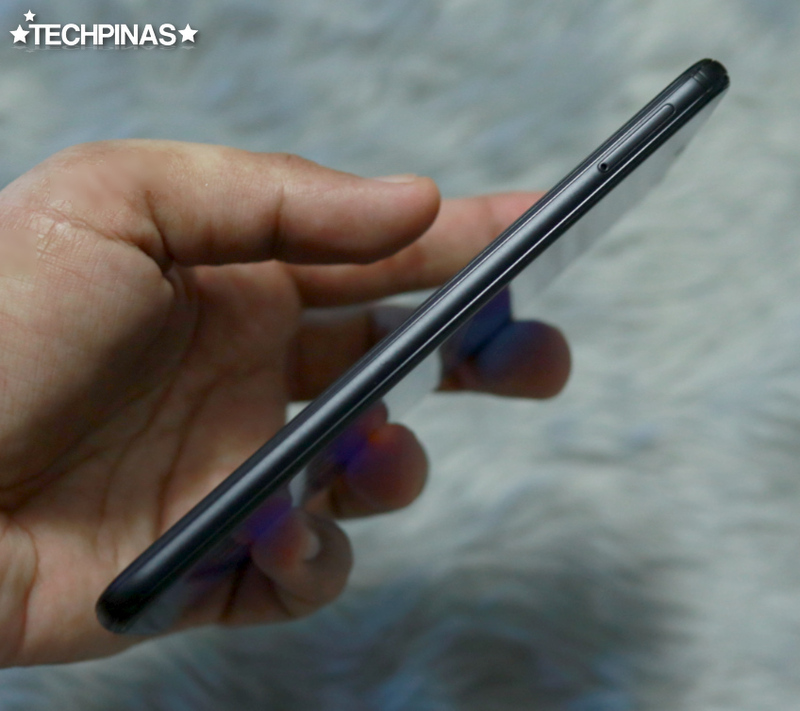 The phone flaunts a glass-metal-glass construction, which I personally prefer over a full metal build. The Midnight Black variant, which I have here, has an undeniable air of corporate sophistication that I'm sure many consumers will be attracted to. 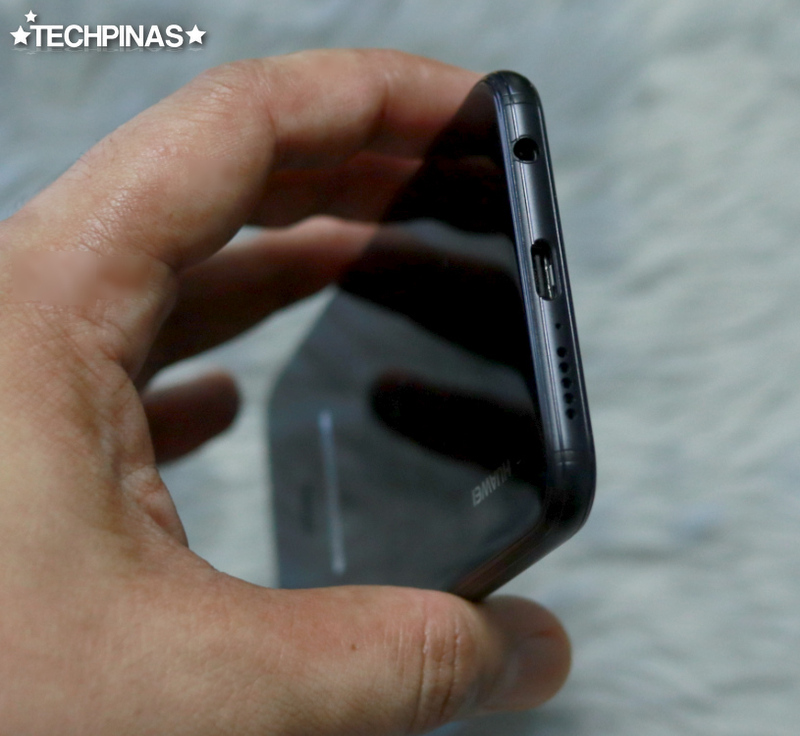 Like its more pricey siblings, Huawei P20 Lite has a USB Type C port in lieu of microUSB 2.0, which allows for faster charging and data transfer. One of the highlights of the P20 Lite is its 16MP + 2MP rear camera combo, which work together to deliver shots or portraits with beautiful bokeh effect, where the subject's background is beautifully blurred. Huawei also an integrated camera feature that lets you virtually change the aperture setting so you can control the amount of background blur before snapping the shot. For those who love taking selfies like I do, the handset features a 16 MegaPixel f/2.0 front cam that performs well in low light and benefits from Huawei's own beautification software, which instantly evens out skin tone and makes your facial features more flattering in every image. 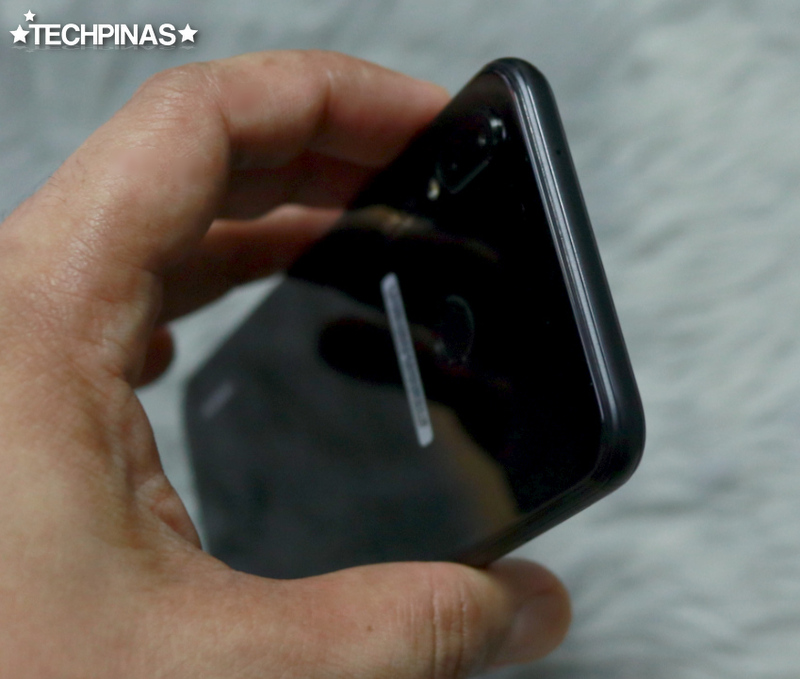 Under the hood, Huawei P20 Lite is powered by a non-removable 3,000 mAh Li-Po battery pack and runs its EMUI 8.0 skinned Android 8.0 Oreo operating system with the company's own 16nm Octa Core Kirin 659 processor. The ARM Cortex A53 and Mali-T830 MP2 based chipset is complemented by 4GB of RAM for smooth multitasking and 64GB of onboard storage that can be expanded using the secondary hybrid nanoSIM slot that can also accommodate a microSD card. Off hand, I would say that the strongest selling points of this model would have to be its design, build, and display. Holding it really feels like having a jewel in your hand. 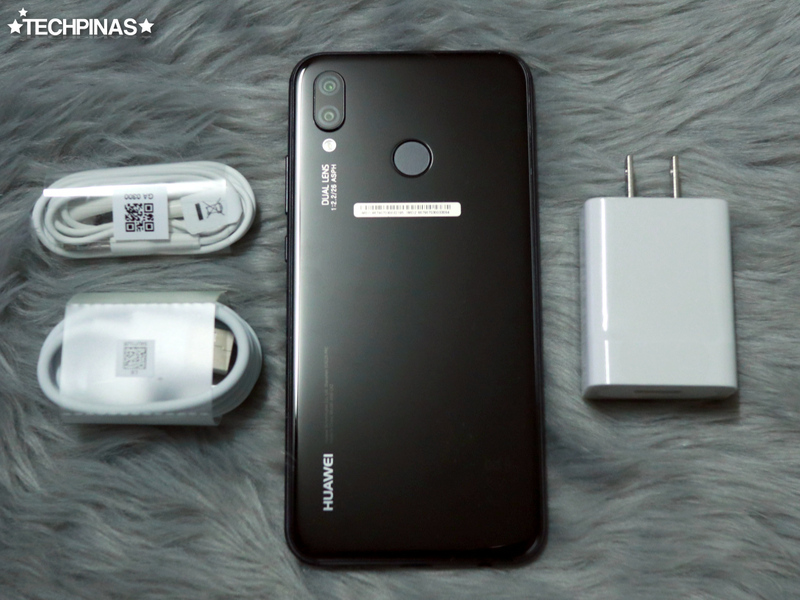 If you're a consumer who's very meticulous about the look of your daily driver, Huawei P20 Lite certainly won't disappoint. Alright! That's it for now. Stay tuned for my sample photos and selfies taken using this amazing 2018 Android smartphone.